This badge was issued to Maurice Stainsby on 11 Oct 2018. Earners of the Introduction to Importing Training Course badge understand the importing procedures & documentation required to run a successful & efficient global business. 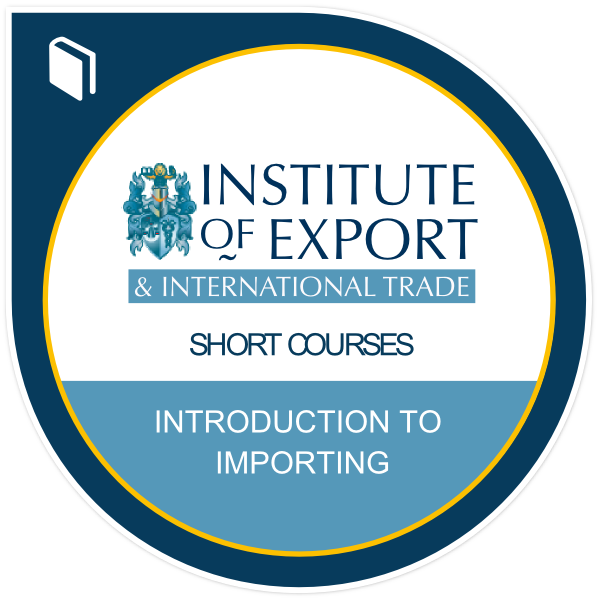 After completing this course, earners understand the application & impact of Incoterms, role of import licences & tariff codes, payment security & letters of credit, temporary imports, duties to be paid, & the impact of Brexit on imports. They are now able to use the knowledge gained to reduce business costs & increase sales.